The attacks on the Second Amendment, by government, have extended to persecuting a decorated war hero and charging him with five counts of third degree criminal possession of a weapon, for having completely empty 30 round AR-15 magazines in his vehicle. On January 6, 2013, a decorated combat veteran, Staff Sergeant Nathan Haddad, was driving through Jefferson County, New York when he was randomly pulled over at a Fourth Amendment violating warrantless vehicle checkpoint search. Haddad, who had five 30-round empty magazines in his vehicle, was arrested by the Jefferson County Sheriff’s Department and was charged with five separate felonies. If convicted on all counts, Haddad, could spend the majority of the rest of his life in prison. When Nathan Haddad was arrested, the new ban on his gun magazines had not yet taken effect. The ignoramuses’ at the Jefferson County Sheriff’s Department should be given a civics homework assignment; namely to look up the term, ex post facto. In other words, the government cannot pass a law which makes a past act illegal prior to a new law taking effect. But, I forget, this is the new America and we are clearly in the midst of adopting totalitarian laws and law enforcement practices which are serving to replace our Constitution (e.g. the NDAA). Ironically, Haddad was recently honored by the Philadelphia chapter of Blue Star Mothers and the Union League’s Armed Services Council for helping disabled veterans get back on their feet and this is how the Jefferson County Sheriff’s office honors his service to his country and later, to his community. A legal relief fund has been set up to help Sergeant Haddad fight against the tyrants in New York. I would encourage all to donate what they can. Gun control laws are not meant to stop criminals. Gun control is about control and about disarming the American people because there are some very bad people who wish to do middle class Americans great harm. America needs to wake up and see gun control for what it is; gun control is most often a precursor to absolute tyranny and often culminates in genocide. If this government was truly sincere about making the country safer, they would be corralling and controlling the reckless and negligent medical-pharmaceutical-industrial complex. The present medical statistics demonstrate that death by doctor dwarfs death by gunfire as the following chart demonstrates. In 2010, there were 14,043 homicides in the United States. This was 15th leading cause of death according to the CDC mortality statistics and a Wall Street Journal review for causes of death. However, when one isolates the number of deaths by firearms, the number of deaths caused by guns drops to 9,601. Gunfire, as a cause of mortality is not even ranked among the leading causes of death. The likelihood of being killed in a mass shooting are about what they are for being struck by lightning. Let’s take a moment to examine the leading causes of death and the possible reasons underlying the mortality statistics. Perhaps we should be looking at the Bovine Growth Hormones (cancer causing) put into cattle which makes its way into the human population by way of meat and milk consumption. We ingest these dangerous substances and literally, the entire country is on a secondary form of steroids. Subsequently, massive rates of obesity have beset our nation and not one word of discussion on this topic has taken place in the mainstream media or in the halls of Congress. Maybe the country should question the wisdom of taking the flu vaccine. There is not one shred of scientific evidence which supports the use of the vaccine which would serve to justify the hundreds of thousands adverse reactions. The use of the flu vaccine defies conventional wisdom. How does one make up a vaccine a year before the “new” strain appears. Is this medicine by crystal ball? And where is the supportive data? With this kind of voodoo science, no wonder death by doctor is the third leading cause of death in the United States. Also, contributing to our demise, in these areas, are the massive amounts of untested, unregulated and unlabeled GMOs by which we have seen massive cancerous tumors in rats raised on a GMO diet. Monsanto has bought out and is controlling the FDA and the CDC, and subsequently is allowed to avoid all reviews of its products and food safety. Finally when we take a look at chemtrails, perhaps we would be wise to be looking for a link between barium, found in chemtrails, and barium’s prevalence as a causal agent in the development of Alzheimer’s. With Obamacare being fully implemented, complete with age-related rationing, a reasonable person would expect these medically induced mortality numbers to skyrocket! When one steps back and looks at the medical-pharmaceutical-industrial complex, it is clear that what is supposed to cure us, all too often kills us. Meanwhile, America stays fixated on gun control as a means to increase safety and longevity when the data does not support this illogical, unproven and unconstitutional action. 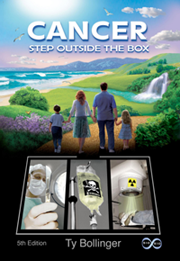 Meanwhile, an examination of the causes of death in the medical industry, as related by the Starfield Report, demonstrates the extreme danger posed to nation’s health and well-being by the medical-pharmaceutical industrial complex. It is clear that America’s annual mortality rate would decline significantly if the government were to ban doctors instead of attempting to ban guns. The medical system is a far greater threat to our nation’s health and welfare than are firearms. An American has a 23 times greater chance of being killed by their doctor than by a firearm! With just one single exception, the attack on congresswoman Gabrielle Giffords in Tucson in 2011, every public shooting since at least 1950 in the U.S. in which more than three people have been killed has taken place where citizens are not allowed to carry guns. School shootings actually peaked in 1929, but we would not want to confuse Obama and his minions with the facts. Meanwhile, our inane gun policies persecute heroes like Sergeant Haddad as he is clearly being made an example of, by the government, to thwart the rising tide of anti-government sentiment over the gun control issue. In other words, the Haddad case is designed to frighten law-abiding citizens into giving up their guns. The United States is in the process of criminalizing the act of self-defense by removing the only equalizer that Americans have for self-defense against an attacker or to fend off a tyrannical government. It is safe to say, that we are committing national suicide by gun control. Be the first to comment on "Death By Doctor vs. Death By Firearms"